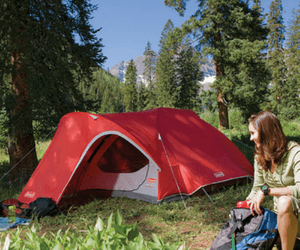 Today you have a wide variety of camping tents that are available in markets. Different tents offer different degrees of protection against various elements of nature. Starting from an enhanced protection from a variety of wild animals and creatures to better comfort in the wilderness, the tent serves many purposes. As technology advances, so does the features and benefits associated with tents. Perhaps that is the reason that choosing the best 4 person tent is never as simple as you think it may be. The tent is, in fact, a complex maze of a variety of features that have to be combined in a perfect balance. That alone will ensure a great quality camping experience even if you do not have a camper. Needless to mention then, you do need some bit of real-time personal experience to truly understand and appreciate the challenges and features that are important in a great quality tent. But then the question is how first-timers can decide on the best 4 person tent. Well, one option is to approach experienced campers and learn from their experiences. The other option is to carefully go through every product that we have reviewed here and take your pick. This cuts down the whole effort of individually examining each tent and then taking a call on them in terms of efficiency and practicality. The reason why our reviews stand out is that of the number of details that we cram in each of these. They are not standard run of the mill analysis. But on the contrary, there is a detailed rating procedure and a close study of the feedback from users along with our own understanding and analysis of a variety of factors. This will give you a convenient lowdown on the best option. 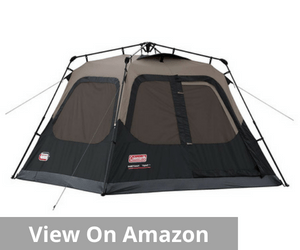 The Coleman Sundome 4-person tent is decidedly one of the best 4-person tents you may opt for. 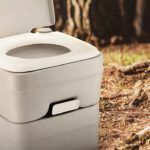 It is trendy, replete with features and a decidedly classic piece for camping. 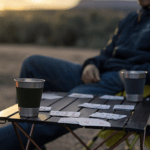 Whether you are considering absolute wilderness or a well-marked campsite, this one will come across as an invariably handy and customer friendly piece that offers maximum comfort to the users. Made of polyester, there are many reasons why you may want to own this 4-person tent over many others. It is extremely easy to set up. The continuous pole sleeves along with the patented pin-and-ring system and an absolutely snag-free suspension make setting up a tent almost child’s play. 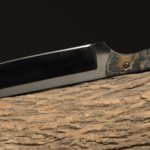 Whether you are a camping veteran or just a first timer, it is hard to get stuck with this one. The storage convenience is another big factor in favor of the Coleman Sundome. This can simply be packed into one expandable bag and stored as it is for the next time. Removing it from the cover and setting it up is anyway quite simple. The WeatherTec System of this tent is another advantageous incorporation. The tub-like floors with patented corner welds and covered seams work extremely efficiently to keep the water out and maintain the overall dry interiors despite rain and snow outside. Another reason that adds a distinct degree of charm to this 4 person tent is the naturally effective darkroom technology. It works miraculously well in maintaining curtain like privacy in your room. It effectively blocks as much as 90% of the sunlight that enters the tent. So if you want to catch up on some additional sleep, this is one of the best ways. It also reduces the temperature that builds up within the tent by a good 10%. That means you can easily get a more comfortable and cooler experience using this technology to the hilt. If the love for adventure is your middle name, then this Coleman Instant Cabin is one of the most dependable options. In fact, in the search for the best 4 Person tent, this one figures prominently both in terms of the convenience that it offers and the extent to which it can enhance the pleasure of your trip. 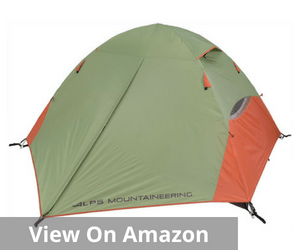 The pre-attached poles make setting up, folding and unfolding this tent quite uncomplicated. It is secure and strong and offers 100% comfort to your temporary home. The integrated, vented rainfly are most times ready in just 60 seconds. 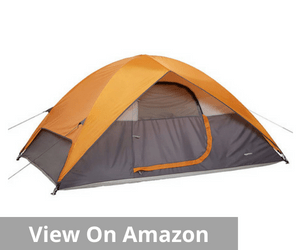 This tent is made of 150D/150D Polyester and comes with taped seams. This is what makes the whole set-up very dependable and also durable. The chances of water leaking in from seams are reduced significantly. It provides you complete protection and enhances the overall safety and security outdoors. 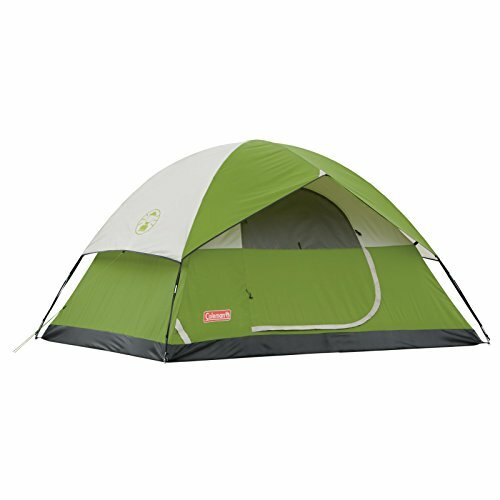 This Coleman variant too comes with most of the standard features that so distinguishes the tents made by this brand. So the WeatherTech system is a given. This facilitates patented welded floors and inverted seams to help keep water out and keep the interiors fresh and clean. The integrated vented rainfly also enhances the overall airflow through the tent, Needless to mention that it makes your stay rather comfortable within. However, this is not a completely weatherproof tent. For complete protection against rain, it is important to use a rain canopy. However, it does not come along with the tent. If you consider it necessary then you will have to buy it separately and get it installed. This makes the tent rather inappropriate for places with heavy rainfall or uncertain rains. If assembling the tent is one of your biggest challenges, then this is one of the best 4 person tents that you can go for. The Lynx series of the Alps Mountaineering is a unique free standing tent design that seeks to offer a complete solution to your overall camping challenges. This aluminum two-pole design is literally a breeze to set up and even first-time campers can experience the simplicity of the technology. Made of polyester, this tent fly is fairly resistant to water and UV damage. There are additional vestibules that enhance the storage space within and make it a rather comfortable option for extended outdoor trips. Storage is undeniably one of the most important advantages of this tent. It has a total of 8 zippers, additional storage pockets and small innovations that improve the amount of storage available. That apart, this tent is also accompanied by a gear loft, stakes, guy ropes and two doorways. 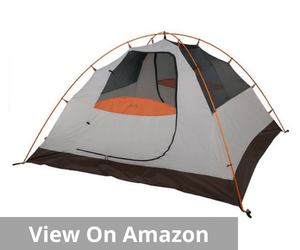 This is what makes this tent score high on the overall comfort and convenience factor. 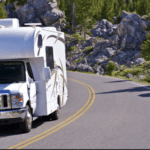 In many ways, that is also a very important reason why it is a must-have if you are keen on camping and on the lookout for the most reliable camping options. Inconsistencies in the quality of the rainfly, as a result, there are a few who dealt with leaking tents during their stay. But this does not seem to be a recurring problem. 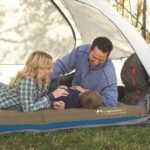 A majority of users are fairly satisfied with the tent they have bought, at least in terms of their weatherproof qualities. The Alps brand is almost synonymous with durability, versatility and easy assembly 4 person tents. 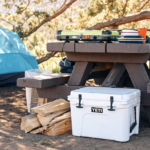 The Taurus series too highlights the definitive edge that Alps assures its customers in terms of tent comfort and convenience. This is an easy assembly tent with a beautiful and durable free-standing two-pole design. The poles are made of fiberglass making them strong and enabling long-lasting quality. The polyester tent fly is particularly effective in resisting damage from UV rays and water. The additional vestibules in the camp enable extra storage and greater user convenience. 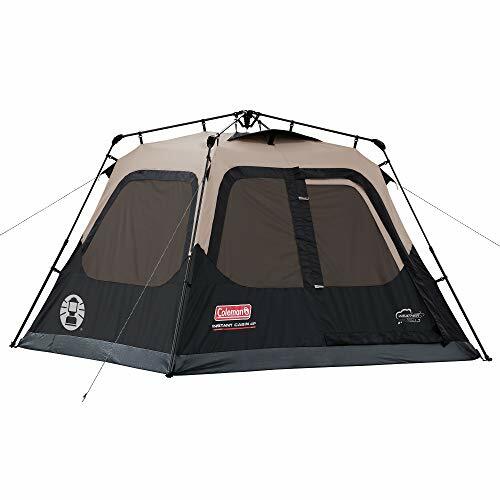 The mesh roof, the two entryways, and a zippered window are the other interesting additions that make it one of the best 4 person tents that you can buy in the given budget. 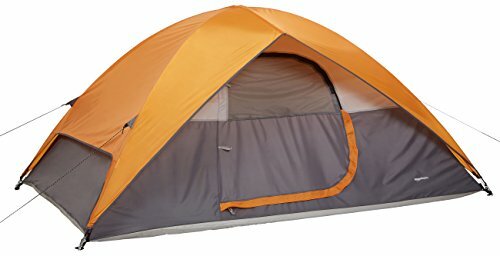 This fully equipped tent is very high on ventilation and makes for a non-suffocating well lighted and properly aired temporary home for you. The dual door and vestibules ensure that you do not have to crawl over others to get in or get out of the camp. There are doors both on the left and right of the tent and users can use whichever door is the nearest. 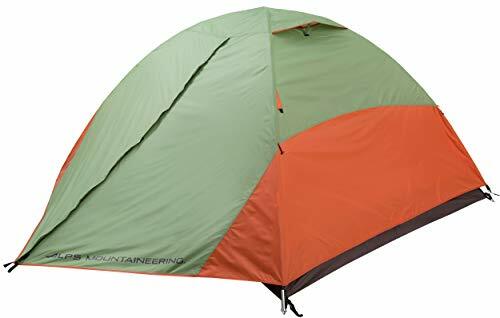 Additionally, this is also an effective way to keep the elements out of the tent and maintain a hygienic and safe interior even when you are outdoors. The other standard features include gear loft, stakes and guy ropes. They are all effective in enhancing the camping experience to a great degree. 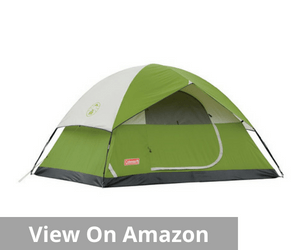 Most importantly, this is an extremely affordable tent despite the range of features that this one is packed with. 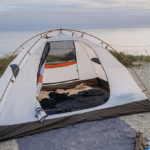 If you are looking for a reliable, convenient and well provided for a handy option, this is one of the best 4 Person tents that you may opt for. 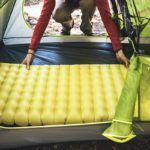 This is convenient and compact making it ideal for both car camping as well as backpacking. Whether you are a first-time camper or a seasoned one, this offers the same degree of convenience and comfort. It is spacious and durable and offers you a great camping experience irrespective of the locale. You may be at a beach or a forest or even your own backyard. But irrespective of the location, you can experience a superior degree of comfort and convenience. The convenience of setup is undeniably one of the biggest advantages. 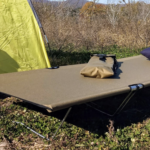 It takes very little time to put up this camp and the shock-corded poles along with the properly marked poles makes it extremely easy to assemble option. It also comes with a carry bag to store the camp. There are also convenient storage options for enhanced portability. The design of this tent also deserves a special mention. It is not just adequately provided for but also guarantees long-lasting quality and performance. The properly welded 1000D-polyethylene bathtub-style floor that wraps up on the sides along with the inverted seams offers maximum protection. As a result, this is an extremely water resistant option that enhances both the comfort factor as well as the protection element. This tent also showcases excellent ventilation and optimizes the airflow within the tent. The mesh storage pocket makes it a very convenient option as well. 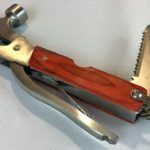 You can now conveniently keep small things like keys, phones, and flashlights in an organized fashion without worrying about losing them or not finding them when you require. Rugged waterproof floor for a greater degree of comfort and ensuring that you are able to sleep on dry floor irrespective of the season. Ventilation and airflow not up to the mark, especially in warm areas. It can get particularly hot and humid during summer nights in lower latitude regions. 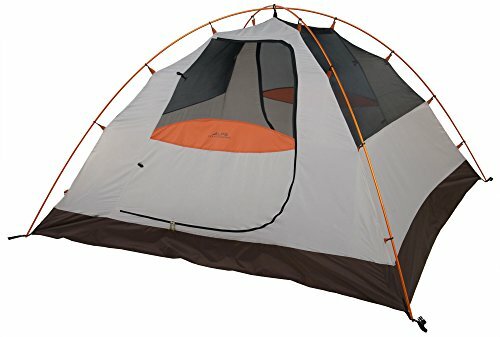 Fairly okay tent for fall and spring season when the outside temperature is not very high and the need for adequate breeze is fairly low. Not very high on storage space. Therefore, deciding on the best 4 person tent is a multi-step process. You have to pay attention to numerous factors before deciding on the best option. 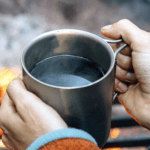 Comfort is always the primary consideration but when you are camping outdoors that is not the only factor that you must consider. There are many others too. 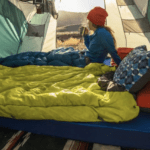 Often factors like ventilation and comfort get seriously mismatched if you don’t choose a tent that is appropriate for the season you are camping in. There are some tents that are better for the cooler temperature. But there are others which are able to cool the interiors more effectively despite rising temperature outside. Remember when you are camping or backpacking, you can only carry a finite amount of weight. It is never possible to carry a huge amount and be comfortable. Rather when you are outdoors, heavy or too much luggage can actually become a liability for you many times. Managing so much can often become a bother for you and you may end up more frustrated than happy during the course of your trip. Make a realistic assumption of the number of people who will be sharing the tent with you. There are some people who are okay huddling together but some who may not be that comfortable. As a result, it is not just important to calculate the number of people who are traveling with you but also the size that is most appropriate for them. The pricing is also a crucial factor in this context. Think about the budget that you have allocated for your tent. Stick to the budget and try and fit in options that offer you the best possible advantages. The budget is often a very important consideration when you are making allocation within limited resources. The best 4 Person tent has to be undeniably that which fits in your requirements best. Whether you are considering comfort, utility or security, the option that you choose must be able to satisfy all these preconditions adequately. Carefully go through the product reviews, talk to experienced campers and jot down the necessities when you are camping outdoors. That will offer you a far more realistic understanding of the best tents for your camping experience. It has to combine your comfort and necessity in a well-balanced manner. That alone will ensure that you have a winning combination that offers undeniable comfort through your trip.